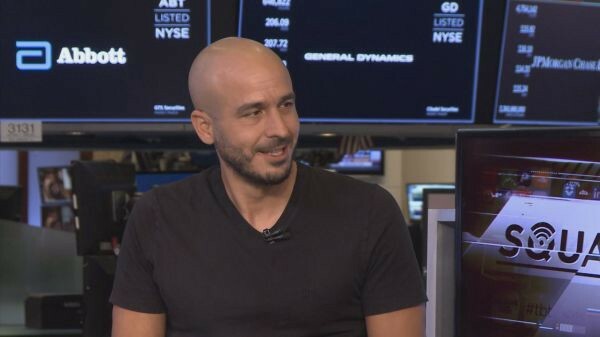 Shares of enterprise software company Elastic boomed on the company’s first day of trading. Open-source company Elastic helps enterprises build search functionality in new ways. They already help provide software to companies such as Uber, Walgreen, Adobe, Merck and others. Elastic, based out of the Netherlands, is showing another kind of business model. It first filed to go public last month and the IPO price has nearly doubled. From what I understand, the company offers its technology through cloud providers such as Amazon. Elastic has experienced strong momentum and has more than 5,000 customers across 80 countries and several industries, according to its S-1 filing. Elastic, a company that commercializes open-source software for search and data analytics, saw its stock soar as much as 106 percent on October 5th, 2018. It’s been gaining popularity since its release back in 2010 and is essentially an open-source, RESTful, distributed search and analytics engine built on Apache Lucene. Incorporated in The Netherlands and based in Mountain View, CA, Elastic says its search technology finds information and insights from large amounts of data, available for a diverse set of applications and use cases. Think about what that means in a world permeating with Big Data, analytics and AI. Elastic reported revenue of $56.6 million, up 79% from the year-ago period. It had a net loss of $18.6 million in that period, vs. $9.9 million in the previous quarter. The company ultimately raised $252 million in the IPO, selling 7 million ordinary shares of its stock. There’s a little bit of magic in a few startups out of the Netherlands and this is a company I’m very bullish about. Sept. 24, the company estimated that it would price shares in the range of $26 to $29 per share. On Oct. 2, the company provided a higher estimated range: $33 to $35 per share. And on Thursday, Oct. 4, the company announced that it had priced shares at $36 per share, above the high end of the latest range. The company’s technology has been downloaded over 350 million times since 2013, according to the company’s S-1 filing. Like BOX it has incredible enterprise penetration where it counts. Elastic said it has over 5,500 customers — representing 32% of the Fortune 500. It has a really good reputation in the industry, where its competitors include Alphabet’s Google, Splunk, Micro Focus and cloud providers such as Amazon. Elastic provides its commercial software atop the Amazon and Google clouds. It’s also available for companies to use in their own data centers. While we aren’t really there yet in entering the era of the golden age of semantic search, alternatives to Google search will ramp up due to Google’s unfair practices and monopolistic-like tendencies that are focused on advertising. Think about this though with Elastic: the company considers search to be foundational to a wide variety of experiences that are facilitated by the company’s ability to instantly discover relevant information from large amounts of data. When your shares soar 94% in your first day of trading you know that the world has indeed discovered your potential. 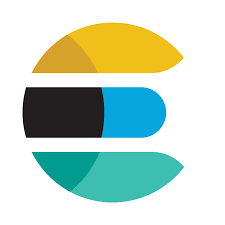 Founded in 2012 and commercializing open-source software for search and data analytics, I think Elastic has a lot of room to grow with known backers such as Benchmark, Index Ventures and New Enterprise Associates. Elastic via Search Lucene basically is more optimized for granular control of things to analyze such as tokenized textual data. So there are a lot of pure organizational businesses cases. Since Lucene is open source it’s known to have one of the greatest developer communities on Earth, and chances are somebody has already built a module which can help your application start from something better than scratch, according to Quora. Elasticsearch has quickly become the most popular search engine, and is commonly used for log analytics, full-text search, security intelligence, business analytics, and operational intelligence use cases. When you actually compare them with Google, you start to get a glimpse of what makes Elastic special. Searching under the hood is where it counts. When you use Uber, it’s Elastic that helps power the systems that locate nearby riders and drivers. When you shop online at Walgreen, Elastic helps power finding the right products to add to your cart. When you look for a partner on Tinder, Elastic helps power the algorithms that guide you to a match, the company said in its S-1 filing.